Today is such a good day! 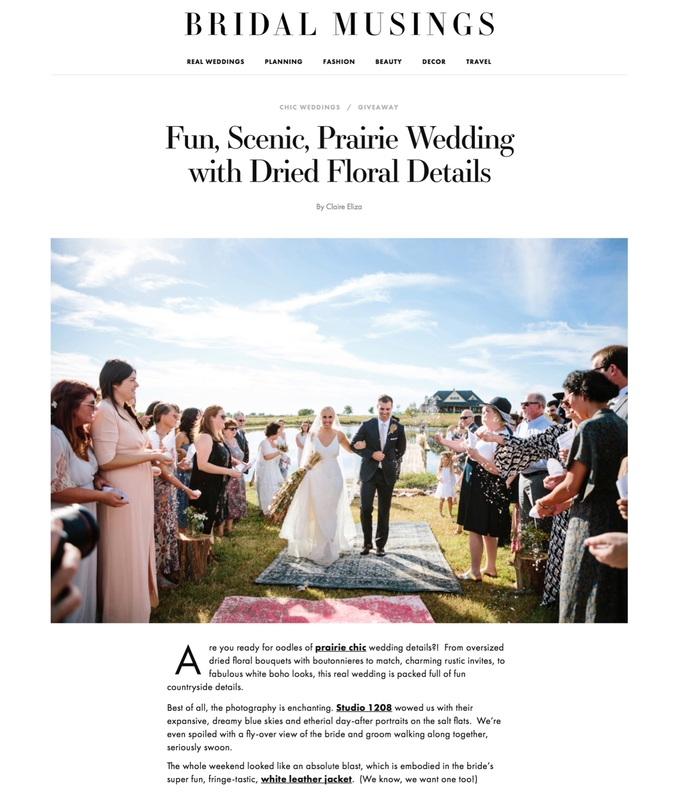 We have another feature on the always amazing Bridal Musings for Libby and Ryan's magical destination wedding in Oklahoma. They have called it "Prairie Chic", and that is totally spot on. It was relaxed, but styled to perfection - kinda like Libby and Ryan are in real life. The first feature (above) was for their photos, and it is BEYOND - to see the full post, click HERE. Their portraits though.... all I can say is prairie sky meets Salt Flats! We loved working with all of the amazing vendors from this one, especially Forever Cole who coordinated this magical day and Studio BDR, who did all of the calligraphy, signage, and paper / printed goods...including the gorgeous invitation suite!!! 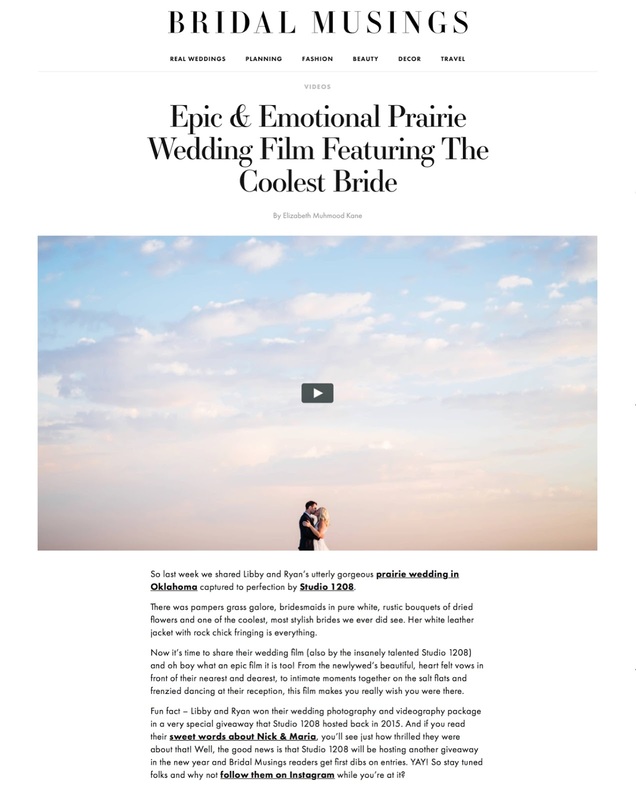 This wedding was shot by one of our talented 1208 Artists, Rach, who absolutely nailed it. Thanks also to Danny for the back up and drone footage!! The story, people and location couldn't be more beautiful, and we are so happy to share it with you today! I can't tell you how fun this wedding was - they pulled out all the stops for their guests, and the party went on for days - yes, DAYS. I guess when you have the wedding on your own property, you can kinda do whatever you want, and that is exactly what they did. We are so excited to share it with you today - Enjoy!